I love this quote from Somerset Maugham- darkly hilarious! Is the current trajectory of your life as you want it to be? Are your current beliefs in alignment with your ideal of who you are and how this world works? Is the current direction of your life moving you in the direction of the most growth and expansiveness? If the answers to the above questions are no, is that ok with you? Do you still want to continue on as normal and not implement changes? Yes is a totally valid answer! It is courageous to be so honest with yourself. It is wonderful to embrace your truth and become open to all that you are- not many people are willing to own all parts of themselves. But to truly embrace all that you are, you need to also acknowledge why you are not actioning change and that you are indeed making the choice to not action it. Why are you content to stay in patterns that are not conducive to your life moving in a positive direction? Is fear stopping you from moving forward? Are you aware of the changes that need to be made but they seem so many, you are going into overwhelm so are wanting to stay static? Do you just not feel ready to make the changes but you can see you will need to at some point? What is the payoff you are getting from continuing as you are? This last point is extremely important to acknowledge and understand. If we are holding to patterns that are of no benefit or are negatively impacting our lives, we are getting some kind of payoff from refusing to go with the energy of change. Perhaps you are earning low amounts of money and are part of a community that identify as being part of the ‘spiritual world’, and you want to make a change to a career that earns lots of money. You fear you will be judged by your peers as greedy or a sell-out or wrong. Or perhaps you feel you need to change career but are in what is considered a ‘good and stable’ one in the ‘material world’ consciousness, and want to make a change to something that has a huge drop in money or ‘influence’ so you fear your peers will think you are silly or crazy or wrong. The payoff of not changing is to not engage with this fear of judgment. To not have to deal with the fear a change in financial circumstance can bring. The fear of not having enough or being seen as having too much. Perhaps you know you need to let go of a relationship but that means you will be causing hurt and upset for that person and a loss for yourself- no matter how negative a relationship is, it is a connection and letting it go can cause huge amounts of grief. So, the payoff in holding onto it is not having to cause upset. Perhaps you are an artist and have developed a belief that the ‘best’ artists are depressed or unstable. Perhaps you no longer want to play out that pattern but are worried about how that will affect your work- or even identity. “How can I be an artist AND live a content life?” “Will I still be able to paint/sing/write/draw etc if I am happy?” “Who am I if I am not a tortured artist?” The payoffs being you don’t have to fully take responsibility for your emotional world- “it is for a higher purpose”. You also don’t have to feel the impact that increased mood stability and happiness may indeed bring to your work or approach to your work. You don’t have to answer the question of “who am I?” beyond labels. It feels safer to not deal with these questions. It feels easier to not deal with these things. Perhaps, very simply, you just can’t face making the changes yet. You feel too much fear and don’t feel ready to confront it yet. Just know, from my experience and from every person I’ve ever spoken to, every author I’ve ever read- I know I don’t ‘know’ every person who has ever lived, but I am confident in saying: every person who has ever wanted to live honestly with themselves, to experience a life truly of their own making, also believes- delaying making changes, fighting against changes, resisting that call from within, is only going to lead to suffering and pain. Ignoring things is just putting things off because you WILL have to deal with it at some point! The greatest gift to give yourself is the art of allowing yourself to go with the flow of change. And again, to be clear, I am talking about the changes your inner-guidance demands, not those from a judgmental mind- your own or someone else’s! 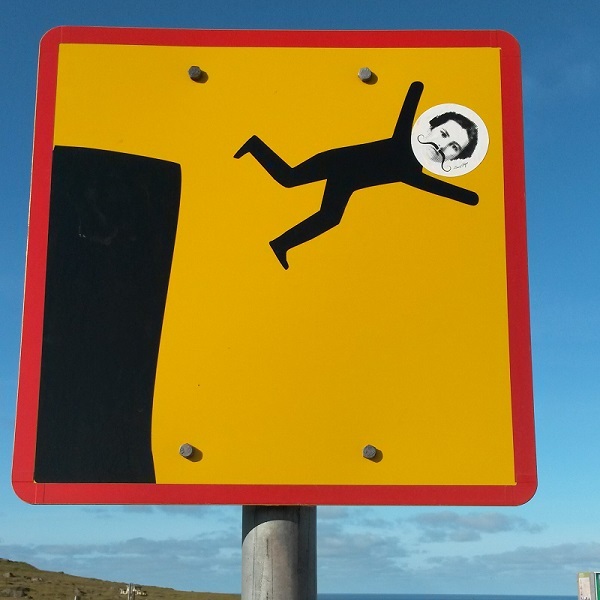 With the strong ‘push’ energy we are all experiencing at the moment, we can feel added pressure, more tired, be short-tempered and can be more sensitive than usual. This can lead to rash decisions and thoughtless words. It can create an immense urge to react rather than respond. An additional tool that can help is working with a mantra. Whether you believe this to be a tool just to focus the mind or as a means to actively affect a situation, it is highly beneficial on many levels. In Hindu religion, Lord Ganesha is the elephant-headed deity prayed to at the beginning of any rituals or new endeavour- students could pray to him before an exam, as Yoga teachers we chant a prayer at the beginning of a class to honour Ganesha. He is the remover of obstacles, the god of intellect, wisdom and beginnings. To me, this is working with an archetypal energy that is of a vibration that helps to remove obstacles. Working with this mantra allows me to tune to this energy, sound my intention and attune to a vibration that every part of my being can feel: I am working with the energy of change, I am aware of the obstacles that I have created and I am now acknowledging there are no longer any obstacles. The audio I am posting for this month is a mantra working with the energy of Lord Ganesha. Feel free to work with the mantra on your own, or to use the audio too. I recommend to use this mantra on rising and at sunset for the next 21 days. This energy of change throughout March requires extra diligence to practices that keep us feeling even and supported. I wish you all so much love during this time. It IS challenging right now. You are not imagining it. You are not alone. You are in the energetic cycles of this planet. Hold to your intention that you are the most important person in your world and you are worth the effort. You are capable of anything. Try to go with this flow of change, allowing your feelings to come and go, allowing you to remain True throughout the change. And when it feels a lot, remember to laugh! 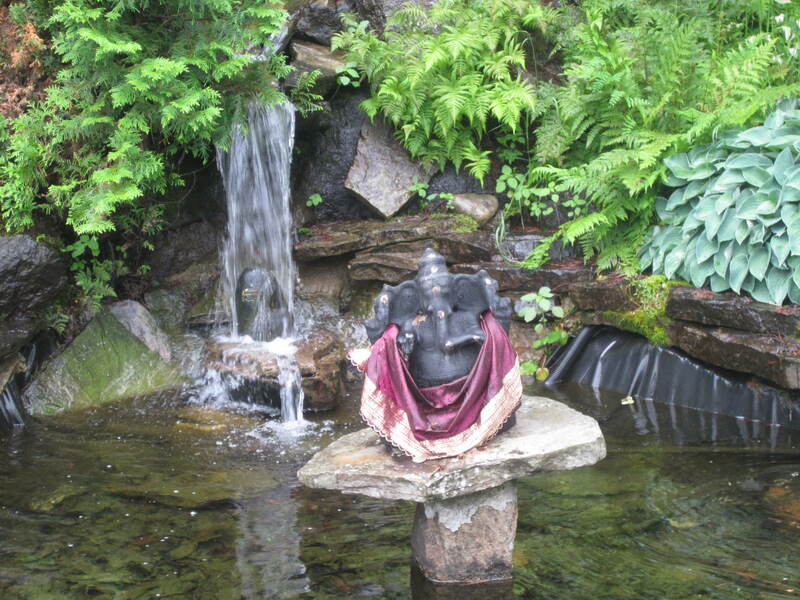 Lord Ganesha statue photo taken during my YTT at the Sivananda Ashram in Canada- sending love, gratitude and blessings! This entry was posted on March 12, 2015 by laura kilty in Meditation, Thoughts and tagged Audio, Challenge, change, cycles, Flow, Intention, Kindness to Self, Lao Tzu, Leo Tolstoy, life, Lord Ganesha, love, Mantra, March, meditation, Obstacles, Om Gam Ganapataye Namaha, Question, Quote, Remover of obstacles, Tools, W. Somerset Maugham, Well-being.